Day 1 of the symposium is designed to introduce the Vietnam War / American War Stories project. The focus will be on foundational themes and issues, setting the stage for Day 2, which is more praxis oriented. Day 2 of the symposium is rooted in practice, designed to deconstruct the themes and issues presented on Day 1 through applied research, teaching, and outreach. Larry Berman, Professor Emeritus, UC Davis and Dean of the Honors College at Georgia State University. His books include Planning a Tragedy: The Americanization of the War in Vietnam, Lyndon Johnson’s War: The Road To Stalemate in Vietnam, No Peace, No Honor: Nixon, Kissinger and Betrayal in Vietnam (Free Press, 2001), Perfect Spy: The Incredible Double Life of Pham Xuan An, Time Magazine Reporter and Vietnamese Communist Agent and ZUMWALT: The Life and Times of Admiral Elmo Russell “Bud” Zumwalt, Jr.” Berman served two years on the content advisory committee for The Education Center at The Wall project,  a learning facility planned for construction on the grounds of the Vietnam Veterans and Lincoln Memorials. He has received fellowships from the Guggenheim Foundation and the American Council of Learned Societies., a Fellow at the Woodrow Wilson International Center for Scholars in Washington, D.C. and scholar in residence at the Rockefeller Foundation’s Center in Bellagio, Italy. He received the Bernath Lecture Prize, given annually by the Society for Historians of American Foreign Relations to a scholar whose work has most contributed to our understanding of foreign relations. This paper will explore the way American soldiers from three different wars wrote about their experiences. It will attempt to unravel the fragile relationship between patriotic accounts of war that tended to uphold noble ideals validating the nation's war effort and thepossibility that war could actually produce laudable traits andmore tragic stories that refused to efface the confusion and pain military conflict imposed upon individuals. As such, it will explore the problem of memory and trauma and the significant tension soldiers faced when they attempted to recreate their experience for a public audience that could not know what it had been like. The part of the paper devoted to World War II will focus on the fiction of Norman Maile and the autobiography of William Manchester--both combat vets. Mailer's renowned novel, The Naked and the Dead, recast the "Good War" in a highly critical light that exposed the deep strain of violence that he felt marked American society and explained why it spared no expense in bringing ruin to the Japanese. Manchester acknowledged the violence and carnage but sought to extract from it tales of heroic men and who cared deeply for each other. 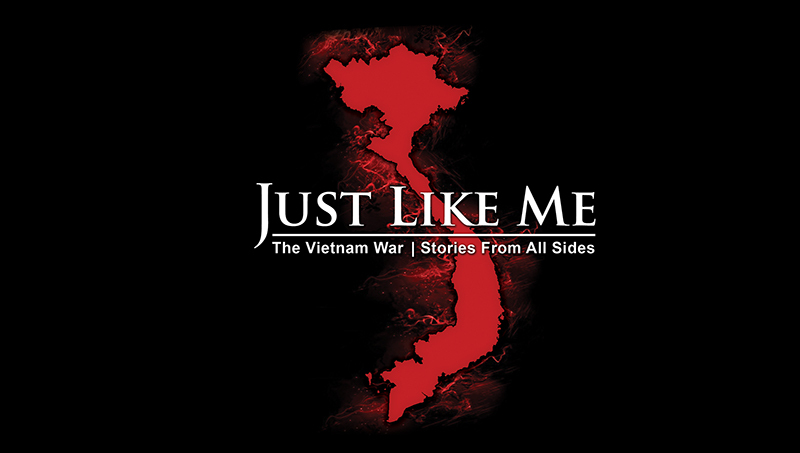 Such narratives contrast sharply with those coming from the experience of Vietnam. Vets like Ron Kovic, Tim O'Brien and others mounted withering attacks on any notion that patriotic service could result in anything positive or nurture admirable character traits. In some ways the World War II stories were actually more conflicted than those formed in Southeast Asia in the 1960s. The final part of this brief paper will explore the outpouring of literature produced by men who served in Afghanistan and Iraq. Again, significant differences are evident among the fighters themselves. A greater effort is made in this most recent contest to restore some faith in traditional patriotic ideals. This effort has had some success but has been hotly contested by tales that absolutely reject any attempt to use patriotic honor to wipe out the memory of pain and loss. John Bodnar, Distinguished & Chancellor’s Professor, Department of History, Indiana University, has researched and written about social and cultural history, patriotism and memory. Professor Bodnar is the author of ten books on the cultural history of the United States, most recently The “Good War” in American Memory (Johns Hopkins University Press, 2010), which is an exploration of the competing memories surrounding the Second World War. Throughout his career, he has used oral histories and other primary sources to expand our understanding of the complexities of historical memory. Ferriero will discuss the planning process for a major exhibit on the Vietnam War within the context of the mission of the National Archives. Particular focus will be on how the principles of Open Government—transparency, collaboration, and participation—impacted that process. Building on the success of the National Archives Citizen Archivist Project, Ferriero will share how the lessons learned have influenced his agency’s approach to exhibit and education planning, with an emphasis on the exhibit commemorating the Vietnam War. Remembering Vietnam is a media-rich exploration the Vietnam War, featuring interviews with Americans and Vietnamese veterans and civilians with firsthand experience of the war’s events as well as historic analysis. It is a fascinating collection of newly discovered and iconic original documents, images, film footage, and artifacts that illuminate 12 critical episodes in the war that divided the peoples of both the United States and Vietnam, covering the period 1946 to 1975. The exhibit encourages visitors to answer these questions: Why did the United States become involved in Vietnam? Why was the war so long? Why was it so controversial? The sacrifices made by veterans and their families, the magnitude of death and destruction, and the war’s lasting effects require no less. Remembering Vietnam is a resource for refreshing our collective memory. National Archives records trace the policies and decisions made by the architects of the conflict. Its collection of evidence provides an opportunity for new insight and greater understanding of one of the most consequential wars in American history. David Ferriero, Archivist of the United States at the National Archives and Records Administration, is a steadfast advocate of the principles of Open Government that include transparency for, participation by, and collaboration with citizens and residents of the United States of America. Ferriero is well known for his “Citizen Archivist” initiative, a platform and community movement that facilitates public contributions to historical records through crowdsourcing approaches. Edward Linenthal, Professor of History at Indiana University, researches myths and symbols and their appropriation during war times, war sites and their states of veneration and defilement, and memorialization. He has published several books, many of which focus on memory of times of war and terror including The Unfinished Bombing: Oklahoma City in American Memory and Preserving Memory: The Struggle to Create America’s Holocaust Museum. Kurt Luther, Professor of Computer Science at Virginia Tech and Director of the Crowd Intelligence Lab , dedicated to researching and developing crowd-supported investigation and visual analysis across disciplines such as journalism and history, intersects computer science, human computer interaction, and history in a number of NSF, NEH, NIH and NHPRC grant-funded projects includingMapping the Fourth of July in the American Civil War Era: A Crowdsourced Digital Archive and, more recently,The American Soldier Collaborative Digital Archive. Lisa Silvestri, Professor of Communication Studies at Gonzaga University, researches the ethical and moral dimensions of digital culture and war with a special focus on social media engagement in the context of war. Silvestri is the author of Friended at the Front: Social Media in the American War Zone, and has published numerous articles in journals like The International Journal of Media and Culture and Culture, Media, War & Conflict. Who Gets to Tell the Vietnam War Story? For as much as has been written and produced about the Vietnam War, the voices telling the story have remained much the same. Historians and journalists have privileged American male combat veterans of the war and high-ranking U.S. policymakers, while in Vietnam, the official state story is one of U.S. imperialists versus Vietnamese freedom fighters. Lost in these tellings of the story was South Vietnamese veterans and their families, anticommunist Vietnamese citizens, political activists of all stripes in South Vietnam, American women who served in the war, U.S. support or rear echelon troops, U.S. Embassy employees, and troops of the "free world" forces in Vietnam. These voices are crucial for understanding how the conflict developed and played out, what its consequences were, and what its legacies are. Social media offers a powerful platform for those who want to study and discuss the Vietnam War, offering unprecedented opportunities to build collaborative communities with veterans, scholars, students, and subject matter experts around the world. However, the toxicity that permeates many online forums and the controversies that still rage about the Vietnam War present challenges to anyone wishing to use social media as a learning and teaching tool. Four years ago, in April 2014, I started a Facebook group called VietnamWarHistoryOrg (on my personal time) in an attempt to build a collaborative community that leveraged the advantages of social media while minimizing the risks associated with the platform. Since that time, the community has grown to nearly 30,000 vetted members, managed by a team of about 15 administrators (all volunteers, many of them veterans, and five people who were born and lived in Vietnam during the war), and all accomplished without any funding or marketing. Now the largest serious history group in social media, VietnamWarHistoryOrg has amassed some valuable lessons on what to do, and what not to do, that ought to be of interest to anyone wishing to use social media as a tool for teaching and learning. Erik Villard has a Ph.D. in History and is the official U.S. Army historian of the Vietnam War. His Facebook site VietnamWarHistoryOrg has more than 20,000 members. Known as an expert in the TET Offensive, he has written two books on the Vietnam War: 1968 TET Offensive Battles of Quang Tri City and Hue and U.S. Combatant Operations in 1967-1968. He has consulted on a number of military projects and has written extensively about the war. The History Harvest is a community-centered, student-driven archival project that empowers community voices through material-based oral histories. Over the course of a semester, History Harvest students partner with a community to run an event in which community members bring artifacts of significance. Students record community members as they tell stories about their objects and digitize the artifacts for a shared online archive. The community members then take their items back home; there is no acquisition. This one-day event is a bit like Antiques Roadshow, except everything is valuable. More than a singular event, however, the History Harvest can be a litmus test for the success of a community partnership. Wingo’s first History Harvest was with the Rondo community, a historically African American neighborhood in Saint Paul, MN, bisected by the construction of I-94 in the 1960s. The community has been fighting for recognition of what happened to them ever since. Wingo will discuss the multitude of public history projects that formed in the wake of the harvest, demonstrating the value of forming long-term partnerships, and including lessons learned about community engagement. Rebecca Wingo is a scholar of the Indigenous and American West. She is about to start a new position as an Assistant Professor of History and the Director of Public History at the University of Cincinnati. Her first book, Homesteading the Plains, reopens lines of scholarship around the Homestead Act of 1862 and extensively integrates digital history methods. Her next book, Housing the Crows, examines the links between house-building policy and adult Indian education on the Crow Reservation during the assimilation era. But she's not here today to talk about either of those books. Today she will talk about public humanities and her involvement with a community-based course called the History Harvest. The resulting community work involved prompted her to assemble an open access, co-edited volume called Digital Community Engagement: Partnering Communities with the Academy that is now in the works. Callie Wright is the Educations Program Manager for the Vietnam Veterans Memorial Fund (VMMF), a non-profit organization authorized by the U.S. Congress in 1980 to build, manage, and promote awareness for the Vietnam War Memorial (a.k.a. The Wall). Wright is responsible for overseeing educational programs to provide awareness of the Wall for all age-groups with a specific focus on K-12 through curricular materials, interactive learning modules on the VMMF web site, and distance learning. Wright focuses her work on helping teachers, students, and community members better understand the Vietnam era. Before coming to VVMF Wright worked for 10 years teaching U.S. History and Language Arts writing lessons and curriculum that strived to fuse the two subjects together in the hopes of creating meaningful conversations around history and literature within the classroom.